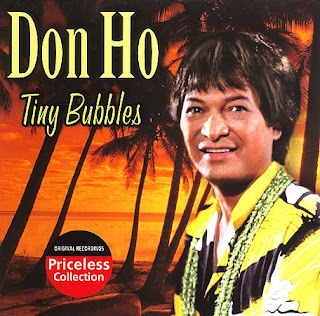 HONOLULU Apr 15, 2007 (AP)— Legendary crooner Don Ho, who entertained tourists for decades wearing raspberry-tinted sunglasses and singing the catchy signature tune "Tiny Bubbles," has died. He was 76. 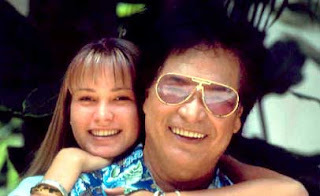 HONOLULU (Reuters) - Don Ho, Hawaii's most popular entertainer who achieved fame far beyond his home state with the song "Tiny Bubbles," died on Saturday at age 76, an official said. The "King of Waikiki" died at a Honolulu medical center, said Michael Lynch, investigator at the office of the Honolulu medical examiner, without giving the reason for death. Ho had a history of heart problems and The Honolulu Advertiser newspaper said he suffered a heart attack at his home in Waikiki early on Saturday. Ho underwent an experimental stem cell procedure in Thailand in 2005 to strengthen his heart. 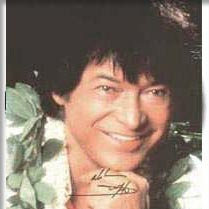 His health improved markedly and he returned to doing shows at a Waikiki hotel twice a week.